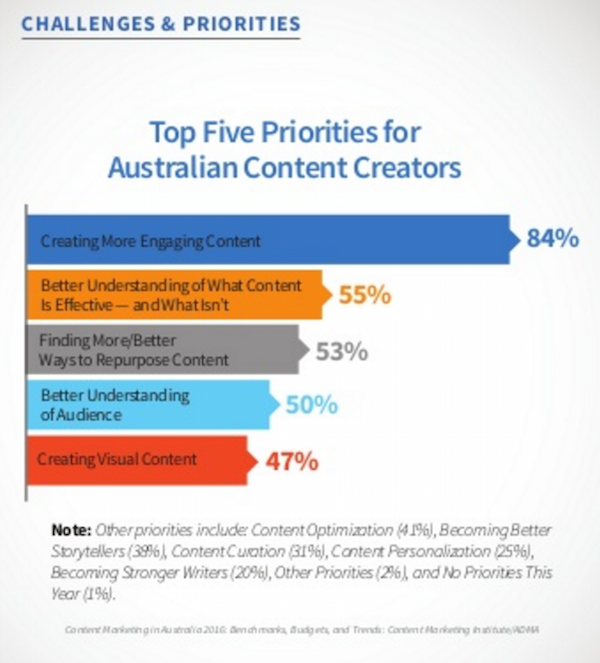 For the fourth year in a row, the Content Marketing Institute and ADMA released original research focused on content marketing in Australia. One thing stood out more than any in the Content Marketing in Australia 2016: Benchmarks, Budgets and Trends report. Sixty-nine percent of the survey respondents say their biggest challenge is producing engaging content. 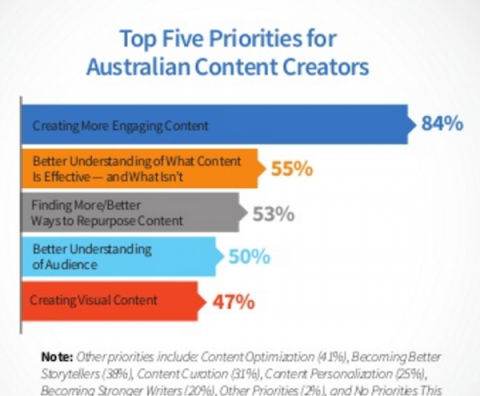 What’s more, 84% say their priority for 2016 is to create more engaging content. So what can you do to improve?